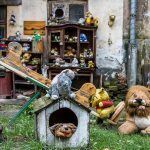 Visiting graveyards didn’t use to top of our ‘to do’ list when discovering a new city, but the Lychakivske Cemetery in the Ukrainian city of Lviv changed that. 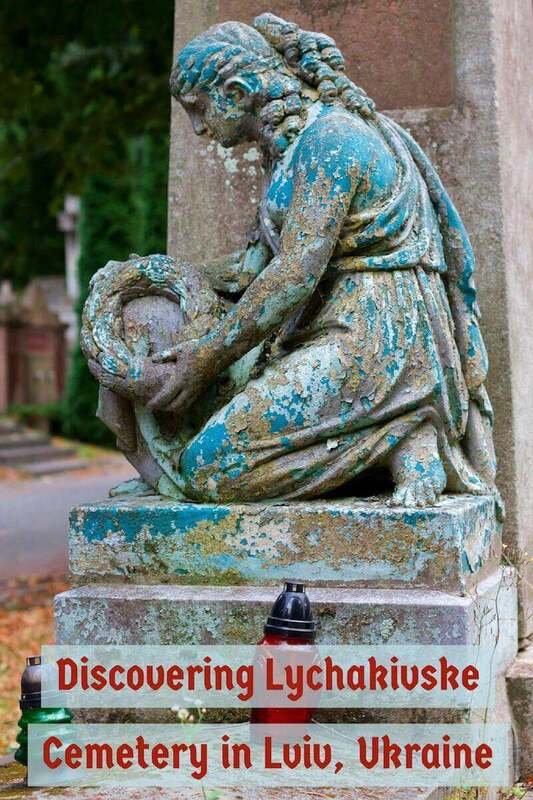 It’s right up there with Highgate Cemetery in North London, La Recoleta in Buenos Aires and Cimetière du Père-Lachaise in Paris and an absolute must if you are visiting this historical city. It’s fair to say that Lychakivske Cemetery was responsible for turning us into a couple of ‘tombstone tourists‘, and we always look to see if there is a historical graveyard in cities that we visit. With an Old Town to rival the best that Europe has to offer, a vibrant café culture and some very affordable accommodation options, the City of Lions is an extremely affable destination that will keep you busy for at least a couple of days. The city is teaming with churches and chapels, grand boulevards and interesting museums (including the absorbing National Museum & Memorial to the Victims of Occupation) but for me, the haunting Lychakivske Necropolis on the outskirts of the city centre was the highlight of our stay. Edit: we have since returned to Lviv and found plenty of other alternative things to see there. 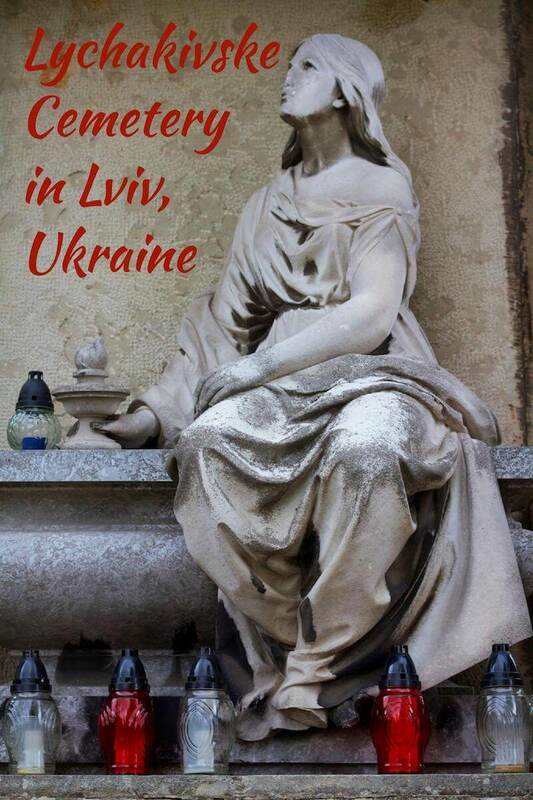 Part of Ukraine now, Lviv has a long and complex historical association with neighbouring Poland dating back many centuries and this is evident as you stroll from one grave to the next. Many of the names etched on the tombs are either Polish or of Polish descent and as you proceed further into the complex, you will eventually come across the Lviv Defenders’ Cemetery (*). This section of Lychakivske Cemetery is dedicated to the thousands of Poles and their allies who died in Lviv during the Polish-Ukrainian War of 1918 and 1919 and also the Polish-Soviet War which took place between 1919 and 1921. (*) Lviv Defenders’ Cemetery is also known as the Cemetery of the Defenders of Lwów. Lviv is known as Lwów in Polish. Close to the Lviv Defenders’ Cemetery, there is a poignant section of freshly dug graves and recent burials which are a result of Ukraine’s modern-day conflict in the Crimea and the east of the country. It didn’t seem right to take any photographs of this area so we didn’t. The cemetery dates back to the late 18th century and the sheer size of it coupled with the large number and diverse styles of graves, many of which are wonderful works of art, means it’s very easy to spend half day or more exploring. Don’t expect to have the cemetery to yourself as the graveyard is a popular excursion for tour groups and independent travellers alike. However, it is still relatively easy to lose the crowds and there are plenty of benches scattered throughout the grounds from where you can sit and admire the plethora of eclectic tombs that surrounds you. Getting to Lychakivske Cemetery from the centre of Lviv is easy. Tram number 7 rattles right past the main entrance gate on a regular basis and the journey only takes about 15 minutes. There is an entrance fee to visit the cemetery which was 20 Ukrainian Hryvnia (UAH) per person plus 10 UAH per camera (at the time of our visit in September 2015). Given the current exchange rate of 22 UAH to US$1 and 34.5 UAH to GBP£1, the entrance fee is negligible but then we found this to be reflective of how cheap Ukraine was in general. 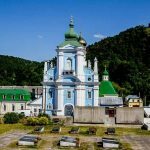 More information about the cemetery, including opening times, a brief history and other useful information can be found on Lviv city tourist information website. 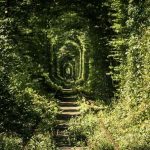 ARE YOU INSPIRED TO VISIT LYCHAKIVSKI CEMETERY? PIN THIS POST FOR LATER! 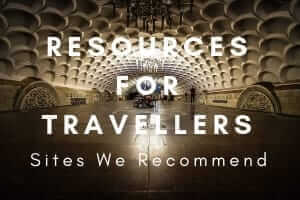 Looking for a guidebook? 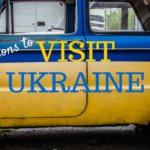 Lonely Planet’s newest guide to Ukraine is now out! Interesting story and photos. Are those little bottles lamps? Rather oddly shaped, not particularly stylish. Have you been to the Park Street Cemetery in Calcutta, the final resting place for much of the colonial elite? Sort of a very derelict, tropically overgrown version of the cemetery in Lviv. Thanks Doug and yes, we have been to Park Cemetery in Calcutta. I probably prefer it to Lychakivske Cemetery because of the reasons you describe above. It is very overgrown and neglected. Although not on the same scale as Park Cemetery, Nicholson Cemetery in Delhi is also quite interesting and worth a look next time you are there. Some beautiful sculptures on some of the graves. Interesting spot! It certainly is. We have decided to track down more graveyards on our next round of travels!